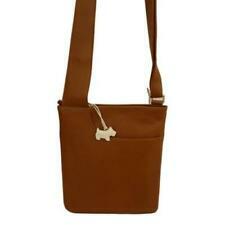 ATTACHED TO ONE OF THE HANDLES IS THE RADLEY DOG BAG CHARM. ATTACHED TO THE LINING THERE IS A LEATHER LABEL WITH A RADLEY DOG THAT READS. A GORGEOUS SMALL CHOCOLATE BROWN GENUINE LEATHER GRAB TOTE BAG IN A GOOD CONDITION FROM RADLEY WITH DUST BAG. Has label and Pouch. Slight scuff marks on base. Lovely Radley bag in a dark brown colour. Has been used and is generally in good condition. It has a few marks on but nothing too bad. A new brown leather bag made by Radley, with 2 handles and featuring 2 flower decorated sections at each end. LEATHER POCKET INSIDE. GORGEOUS BAG. PINK PRETTY DETAIL FRONT. Complete with pink dust bag. 15" x 11" bx 4.25". Radley London ladies bag. - Brown leather with lilac details. In very good pre-loved condition. It still has the care guide inside the main pocket and looks as if it has only been used once. - Square shape with 2 handles. RADLEY BAG. DOG CHARM AND ANOTHER EXTRA CHARM. 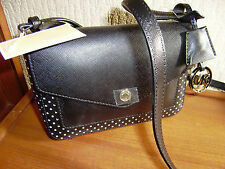 Here is a nice Radley handbag in brown leather with toggles and dust bag. It has plenty of extra pockets and is closed with a zipper. 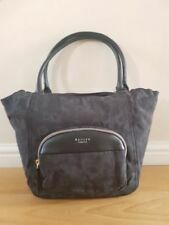 Very rare Radley leather tote shoulder handbag in very good used condition. Beautiful woven leather handles with embroidery detail. Has a Radley dog tag attached. Spacious inside with key clip attached. comes with own dustbag. Size approx L15.5ins x H7ins x W5.5ins Chestnut brown. RADLEY BROWN HANDBAG. This unusual Radley bag is in a brown flecky wool material with brown leather trims and applique leather pattern on the front of the bag. This smart handbag features a Brown Leather Carrying Handle. MANUFACTURE MATERIALS NOT STATED ON HANDBAG. One ink stain inside the bag, otherwise in excellent condition. You can either keep the zip closed or open it to expand the bag and show a colourful leather lotus flower pattern. THIS IS A LOVELY DARK BROWN LEATHER BAG BY RADLEY. IT HAS BEEN USED BUT NOT OFTEN OR EXCESSIVELY AND IS IN VERY GOOD CONDITION. STILL VERY CLEAN AND TIDY INSIDE AND OUT. IT HAS A TAUPE LEATHER ROSE AND BROWN DOG. Lovely handbag, well looked after - some scuffs and marks. Unfortunately no dust bag. Brown with pale blue and purple tulip design and purple radley dog. 3 zippered compartments inside. Handles show some discoloration from use. Overall general good condition. Please see photos. Handy external pocket at the back which accommodates most snark phones/iPhone sizes. All zips in good working order. No rips or tears or holes etc. Loads of life left in this bag and would make a lovely gift. Well packaged and from a smoke free home. Collection welcome and very local delivery considered. Any questions welcome. Inside Pockets 2 zipped, 2 slip and 1 top access plus the Radley leather emblem. This item is sold for RSPCA Sunderland, Hartlepool and South Tyneside branches. Nice recent donation of a Radley bag. Great tassles with the iconic dog interwoven into the handle. RADLEY is embossed on the front of the bag. There is a RADLEY dog dangler with the other danglers. There is a zipped pocket inside and opposite another zipped pocket. Zipped top with a leather zip pull. From top of handles to bag. 1 key strap. 1 small slip pocket at back. Radley Wimbledon Tote Bag. Condition is used, in good condition. There is slight rubbing on the corners and light scratches on the back of the bag (see photos) due to the nature of the smooth leather but still a lovely bag.Dispatched with Royal Mail 1st Class signed for. 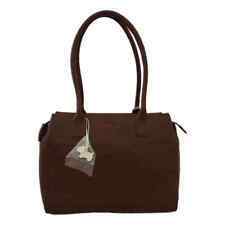 Radley embankment scoop brown tote bags 14x8in with pink dust bag. LouSells Preloved Labels Preloved designer and high street clothes, bags, shoes and accessories, in excellent checked and verified condition. More info by searching LouSells Preloved Labels on social media or searching online. Please view the many other items we currently have in stock on eBay or on our website. Al items are posted within 2 working days and returns are accepted, please make contact within 5 working days of receipt to arrange return, buyer to pay return postage. RADLEY SHOULDER HANDBAG Tote. Condition is Used. Genuine Radley Brown Leather Bag. This is in excellent condition both inside and out with no marks. Has the interior pocket with varying side pockets. Unfortunately I don’t have the dust bag as this isn’t something I thought I would sell but it’s not being used and would be better off with someone that can show it off. Any questions then please do ask, this will be posted recorded delivery to ensure safe arrival. This is a smoke and pet free home. THIS IS A LOVELY BROWN LEATHER BAG BY RADLEY WITH CREAM CANVAS TRIM AND DUCK EGG BLUE LEATHER PIPING. IT HAS BEEN USED BUT NOT EXCESSIVELY AND IS IN VERY GOOD CONDITION. STILL VERY CLEAN AND TIDY INSIDE AND OUT. 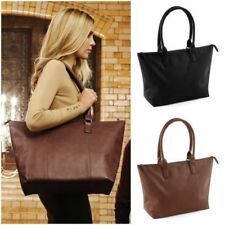 LADIES GOOD QUALITY BROWN LEATHER RADLEY 2 HANDLES SLOUCHY TOTE BAG. Hoylake Brown Small Grab / Shoulder /Tote Bag. (Matching larger bag also listed). On the front there is a tiny pocket for the dangling pink leather RADLEY dog with RADLEY embossed on this pocket. Inside there is a zipped pocket with a leather surround inside and opposite there are 2 open topped pockets with leather trim.